A few months ago I published a post about Matlab’s semi-documented tab-panel functionality, where I promised a follow-up article on tab customizations. A reader of this blog asked a related question earlier today, so I decided it’s about time I fulfilled this promise. Next week’s article will conclude the series on Matlab’s uitab. Any particular customization you are interested in? Please do post a comment. Addendum Oct 3 2014: the uitab and uitabgroup functions have finally become fully supported and documented in Matlab version 8.4 (R2014b). However, the Java-based customizations shown in this article are still unsupported and undocumented, although they remain practically unchanged from what I’ve described in this article, four years earlier. If I execute the following code, the Tab with the icon is not greyed out. It is obviously disabled because I cant click on it, but it looks exactly like an enabled tab. (Icon and Label ar not grey). If I comment the paragraph titled with “% Add an icon to tab #1”, the tab is greyed out properly (without icon). You wrote that icons are automatically greyed out, but I can’t get it to work. Does this code work on your computer? Thank you for this great “un”documentation! It found instant use in my GUI. I did realize that adding a jLabel together with a close button makes the tab look a bit odd as the label then takes the color of the figure background instead of the tab itself (which can also be seen on the above image of the tab with closebutton). 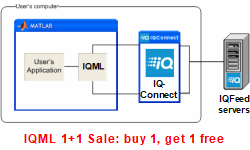 I tried to find the source of this behaviour and found that adding either jLabel or close button would lead to it. In the above picture of a jLabel with an icon however everything looks normal…. Again thanks for the documentation, keep that good stuff coming! I really find your blog extremely useful for our GUI development. I have no clue of what the @(h,e) construction does. Could you explain ? @Etienne – this is the standard way that Matlab callbacks are defined: h is the callback’ed object (in this case, jCloseButton), e is the eventData object that holds information about the callback event. A full explanation is available here. In this case, @(h,e) is simply an inline definition of a simple function that accepts h and e, and does “delete(tab2)” (no need for either h or e in this particular case). I have a question about using the uitree. As I understand uitree accepts generally figure handles. Is it possible to use an uitab handle instead of figure handle. For example, I have a GUI having four tabs, but I want to put an uitree object to only 2nd tab. Because uitree use figure handles, it appears in all tabs. Is it possible to solve this problem? Note: you would probably also want to fix the container’s Position property, not just it’s Parent. I am using tabs aligned to the left. It seems like the title of the first tab added to hTabGroup sets the width of all tabs. Is there a property that can be set to adjust the tab width? Also, horizontal alignment of the title is set to centered, this looks very weird when titles of different length are used. @Johan – simply use TabLocation=’top’ or ‘bottom’. When you use ‘left’ or ‘right’ the tabs are all set to the same width, because otherwise they would not align one on top of the other. This is not a problem with top/left and so in those cases the tabs automatically use a dynamic width. In trying to make the title of tabs font size but I am having some trouble using html. But this doesnt seem to work, any suggestions? Note that HTML formatting of the title string overrides any Java-based customization. Is it possible to implement this on a MATLAB uitabgroup? Sorry if this is obvious, I’m new to MATLAB. @Mike – I posted this code on this very page, so why would you think it was not possible??? 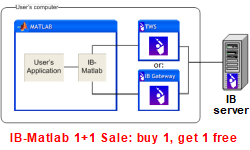 If you’re not sure how it works, simply run it in your Matlab. It won’t bite – I promise. I guess I wasn’t clear. What I was asking is how do you implement tho son a uitab grouped with uitabgroup to close SelectedTab. it looks like you enter set(jCloseButton, ‘ActionPerformedCallback’,@(h,e)delete(tab2)); and it will only delete the item ‘tab2’. Am I way off base here? @Mike – indeed: in this specific example the close-button will only close tab2. You need to set a similar ActionPerformedCallback for any close button that you create. Everything worked fine in 2014a. Any ideas? Thanks you for you time and efforts. Many thanks, Yair. Your solution works very well. 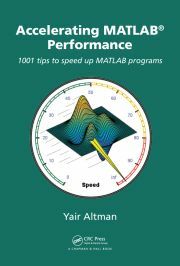 I have just ordered your new book, Accelerating Matlab Performance. I am looking forward to exploring it! I used the findobj Workaround to get the jTabGroup handle. @Christian – apparently you are not accessing the tab-group handle but a plain graphics surface handle. Follow the instructions in my blog to get the correct Java tabgroup handle. hello, any hints why the (close) button does not show up on R2015a (linux64)? from findjobj utility, so i assume i got the correct handle. Also no errors at all.. I can change icon, dimension, label and gaps but the button is not visible/functional. I was wondering If there’s a way to edit the background color of a uitabgroup. Thanks in advance. Note, my figure is visible and not hidden when I attempt to run this script. Strangely, it will sometimes (randomly) return the Java reference, but it will cause the figure to sporadically scroll through the menu bar options. Quite odd behavior. Note, also, everything worked well in R2015a.. I am running Windows 7. Thank you for the timely reply. Per you suggestion, I flushed the EDT queue and pending graphics operations using drawnow(); pause(0.1) prior to getting the underlying Java reference. However, this method too was unsuccessful in R2015b. The Java reference still comes back empty (handle: 1-by-0). I ran the same script on R2015a, and it was successful. Have you experienced similar problems with R2015b? Makes the text red but not italic. Also I cannot get to work to get any icon onto the tab (any of your examples). Is this because of the old Matlab version? @Ondrej – you should double-check your code to ensure that you use valid HTML syntax. Still, many things [especially the advanced stuff that I regularly write about in this blog] will not work on such an old version as R2008a, which is almost 20 releases behind the latest Matlab release. 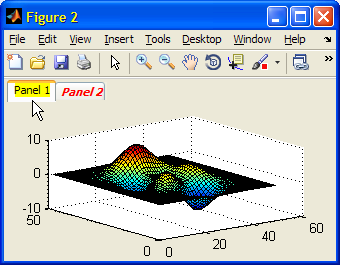 please how can i change the icon in the figure (what i mean is the small icon of matlab in the top,left ????? returns an empty matrix. Am I missing something? On Matlab 2017a findjobj(hTabGroup) does not seem to find the underlying java handle any longer. Probably the same in earlier releases (see comments above). Any way we can still do uitab java magic in new Matlab versions? I get the following error message. Can you tell me what’s wrong? or Would you please send me your code that works fine?